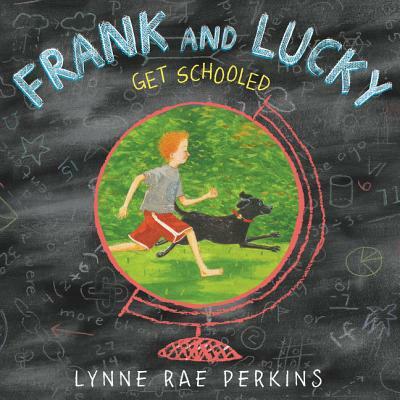 Newbery Medalist and bestselling author Lynne Rae Perkins introduces a boy (Frank) and a dog (Lucky) in this celebratory, wry, and happily unconventional introduction to the subjects children encounter in school. This beautifully illustrated, humorous, and insightful picture book offers a new twist on the classic boy-and-his-dog story! On a rainy day, Frank's parents take him to the shelter to get a new dog. That's how Frank finds Lucky, and from that moment on, they're inseparable. As Frank and Lucky venture out into the world around them, they discover they both have a lot to learn. Exploring their neighborhood teaches them about biology: Lucky learns all about squirrels, deer, and -- unfortunately for Frank -- skunks. Sharing a bed teaches them about fractions -- what happens when one dog takes up three-quarters of the bed, or even the whole thing? They even learn different languages: Frank makes a friend who speaks Spanish and Lucky tries to learn Duck! Who knew you could learn so much without ever setting foot inside a classroom?